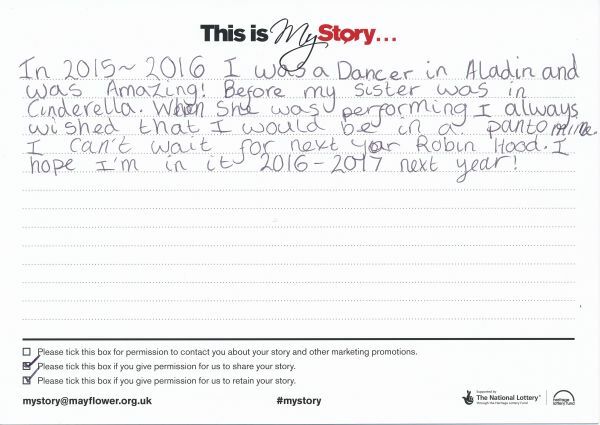 My Story card: Amelia Jennings remembers performing in the Aladdin pantomime. In 2015-2016 I was a dancer in Aladdin and was amazing! Before my sister was in Cinderella. When she was performing I always wished that I would be in a pantomime. I can't wait for next year Robin Hood. I hope I'm in it 2016-2017 next year!